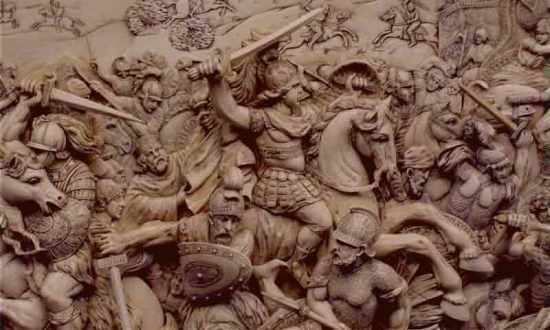 21 Interesting Facts About Alexander The Great | OhFact! 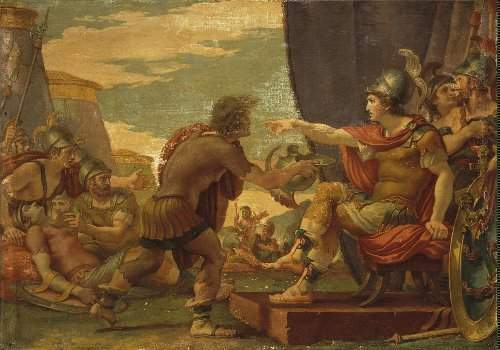 On the day Alexander was born, King Philip got the news that his general- Parmenion had defeated the armies of Illyria and Paeonia. In addition, his horse had also won at the Olympic Games. 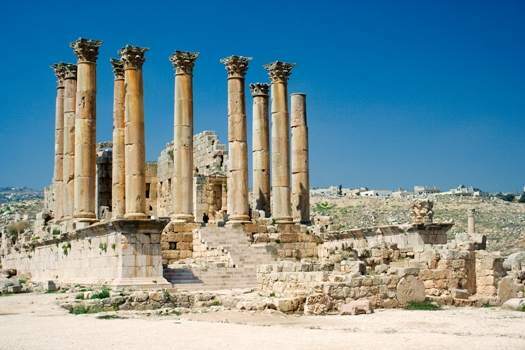 But strangely, on the day of Alexander’s birth, the temple of Artemis, which was among the seven wonders of the ancient world, was burned down. 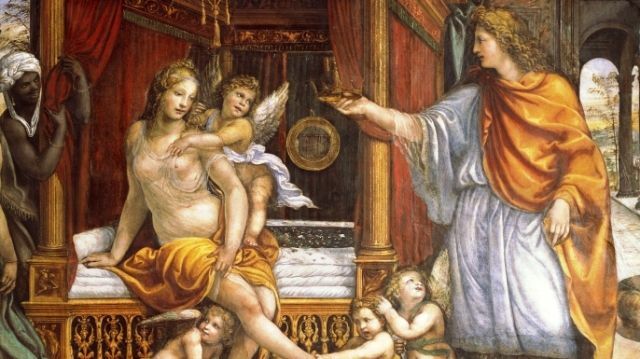 Some historians contemplate that the temple was burned down because Artemis herself was off celebrating Alexander’s birth. 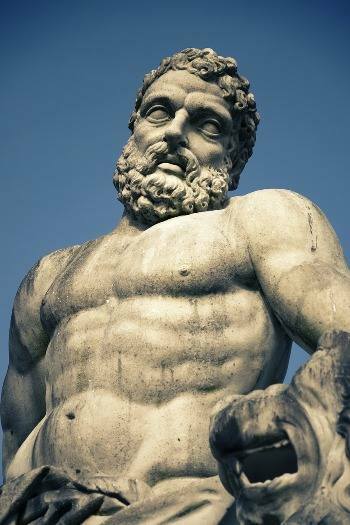 Alexander is considered to be a descendant of the Greek hero Hercules from his paternal side and Achilles from his maternal side. Alexander considerd Hercules his idol. 5. Taught by the Best! Alexander the great was a student of an even greater philosopher, Aristotle. 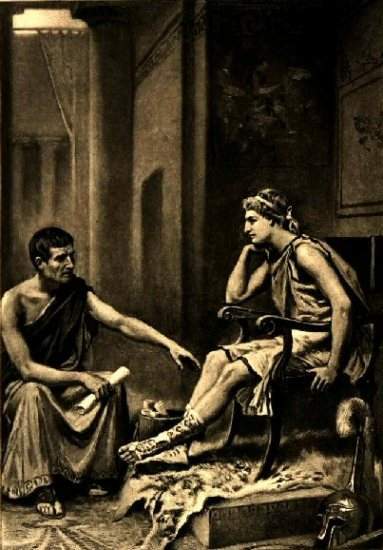 At the age of 13, Alexander started receiving education from Aristotle. Legends say that in return for his services, King Philip had rebuilt Aristotle’s hometown, Stageira, which he himself had destroyed. 6. Feared of being disowned! 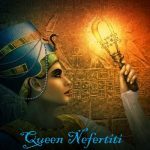 After Alexander’s father, King Philip married Cleopatra; his claim at the throne had weakened because if Philip had a son with Cleopatra, their child would be considered a more legitimate heir. Alexander feared that he would be disowned by his father and hence fled the country with his mother to Epirus. 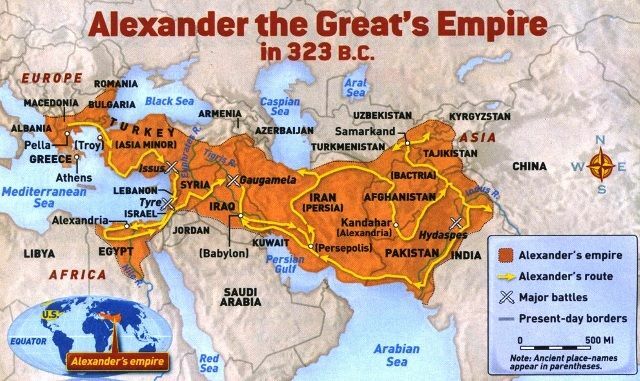 Alexander managed to expand his empire to the most distant points in Asia; his empire stretched from Greece to modern-day Pakistan. Alexander is also credited with spreading the Greek culture to the major part of the world. 8. Never lost a battle! Started at the age of 18 years when he had his very first taste of a military victory he never lost a single battle he fought. He used the tactics of ‘shock and awe’ in the battles. One of his incredible victories includes the battle against Darius where he defeated forces numbered 34,000 cavalry plus 200,000 infantry when his own forces were only 7,000 cavalry and 30,000 infantry. According to the legends whoever untied the Gordian knot would rule over Asia. Alexander was the one to untie the Gordian knot, by slashing through it with his sword. 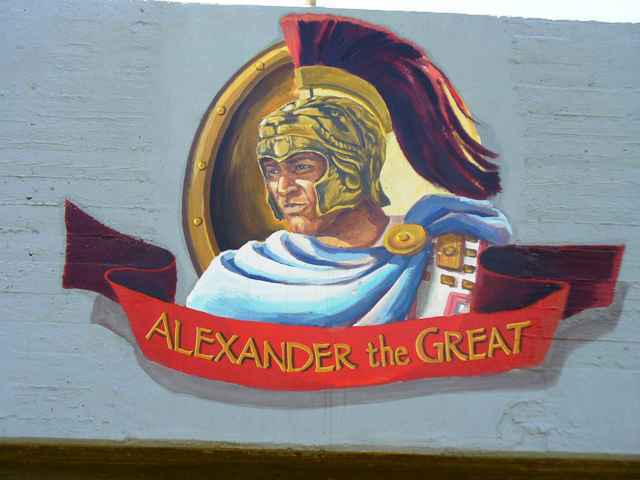 With Every land Alexander conquered from west to east, he celebrated his victories by establishing a city by his name. 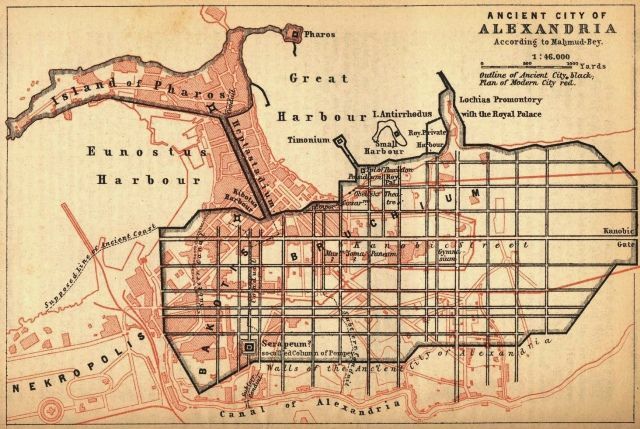 More than 70 cities were named Alexandria, after himself. However, there was only one city which Alexander named Bucephala after his horse. The city is in the present day Pakistan. 12. Love at first sight! When Alexander saw Roxanne, it was love at first sight. He was 28-year-old when he fell for the teenage daughter of a Bactrian nobleman, Roxanne. They got married in a traditional wedding ceremony. Roxanne gave birth to the couple’s only son, Alexander IV after Alexander’s death. Alexander had a condition known as Heterochromia, due to which his eyes were of two different colors – one was blue and the other brown. Alexander was fond of Homer’s Iliad and read it often; he even kept a copy of Homer’s Iliad with him which was a gift from Aristotle. 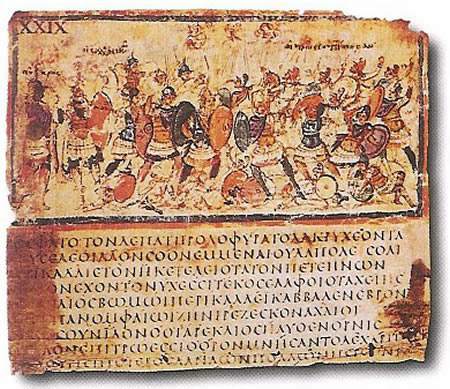 The Iliad later became a source of inspiration to Alexander the great. 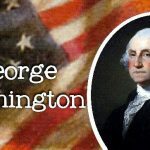 Alexander is frequently credited to be the greatest military mind and tactician the history has ever seen. 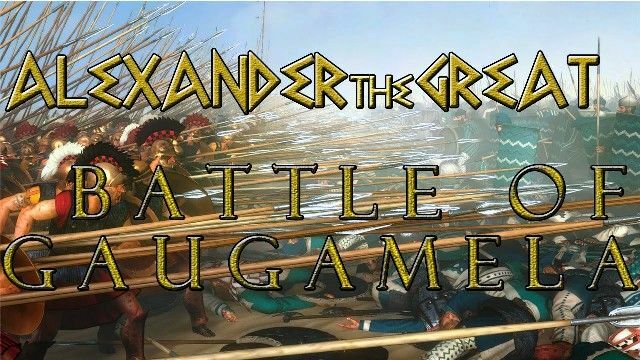 With his military genius, Alexander molded his army into a skilled killing machine. 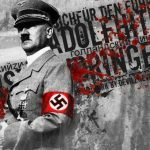 His military tactics were such that even today after years of his death, they remain a subject of research. Alexander died at a very young age. 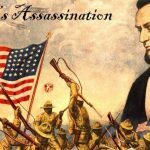 The exact cause of Alexander’s death remains a mystery. 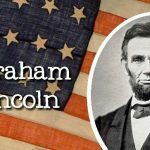 Historians debate about the cause of his death attributing his death to poison, malaria, typhoid fever or other maladies. What we can say for certain is that Alexander died in June 323 BC after suffering from a high fever that had lasted ten days. 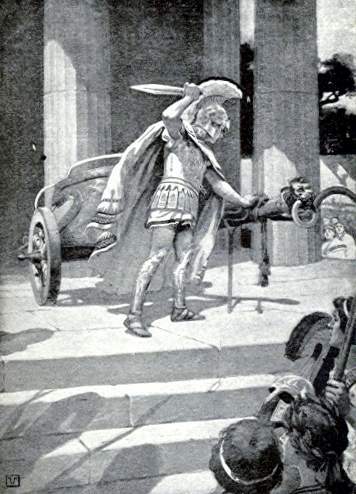 Alexander the Great returned home after his death in a container of honey. 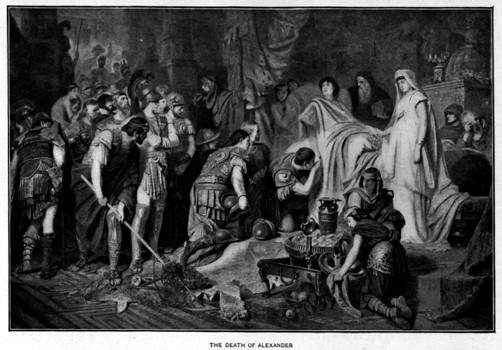 Alexander’s remains were immersed in honey to avoid decay. For 600 years, Alexander’s tomb was a pilgrimage for people all over the world. It was visited by Mark Antony, Julius Caesar, and Octavian when it was in Alexandria. When Octavian visited the tomb, it was already 300 yrs old. At the beginning of the 4th century AD, tomb disappeared. 19. His children were murdered! 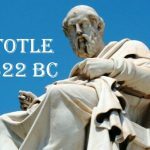 According to sources, he had two children- Alexander IV, his son by Roxane and, Herakles, a son with his mistress Barsine. Both his children were murdered after Alexander’s death. 20. 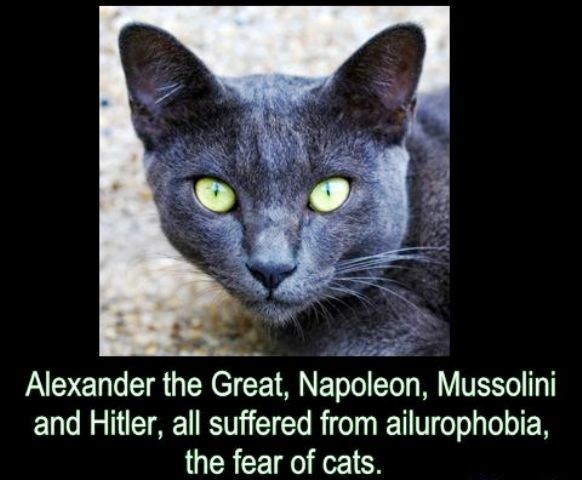 Great persons have fear of cats! 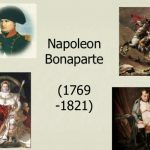 What do Alexander the Great, Genghis Khan, Julius Caesar, Hitler, and Napoleon, Mussolini have in common? All are reported to have suffered from ailurophobia- the fear of cats. 21. 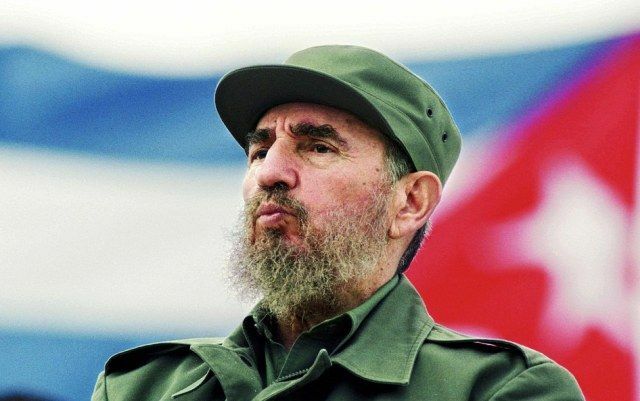 Fidel Castro named his sons after Alexander The Great! The Cuban cult-revolutionary, Fidel Castro, named his three sons after Alexander The Great, Alexis, Alejandro, and Alexander.